Dúctel SA was set up in 1986 to manufacture air textured yarns (ATY), also called taslan, in polyamide 6.6 for the sports, swimwear and underwear markets. Our desire to be at the avant-garde in innovation, along with a clearly client-oriented philosophy, has made Dúctel the European market leader for air textured polyamide 6.6. Our dedication to serving our clients, has led to us extending our product range, raw materials base and consequently our markets, to cover all our clients’ needs. We are commercially present in 24 countries and, since 2006, have had a production facility in China to better serve the Asian market. 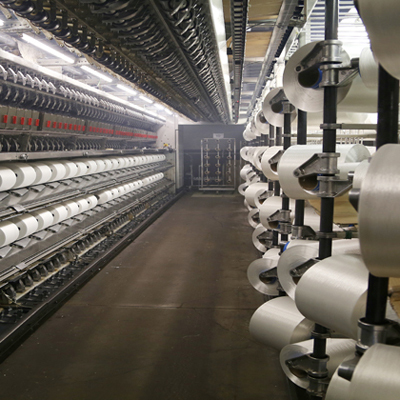 The use of ATY technology, also called AJT, gives the textiles a cottony feel as well as the advantages of continuous thread.